K. K. Wagh Institute of Engineering Education & Research , Nashik has been accredited with "A" grade by NAAC. K. K. Wagh Institute of Engineering Education & Research, Nashik has received IDA award at the hands of Shri. Manish Sisodia, Dy. CM of Delhi for promoting Science among school children. 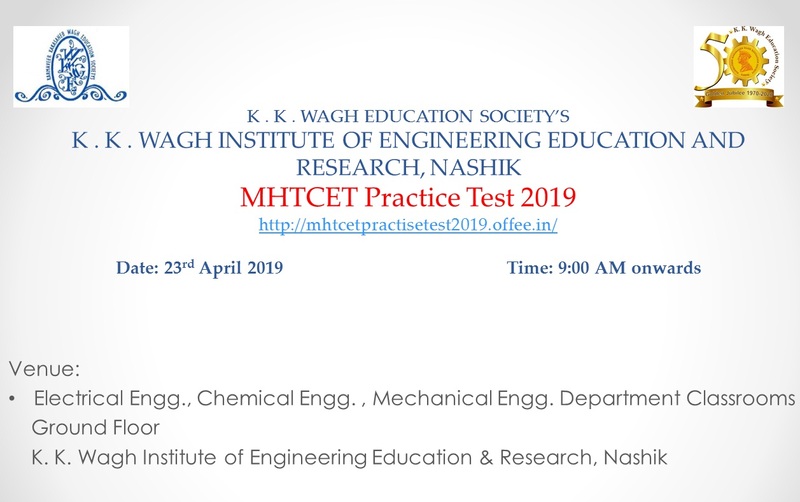 As per AICTE-CII survey of Industry linked technical institute 2018, K. K. Wagh Institute of Engineering Education & Research, Nashik is the only Engineering institute in Nashik to be grouped under “PLATINUM CATEGORY”. K. K. Wagh Institute of Engineering Education & Research, Nashik has received International accreditation from HLACT. The Institution of Engineering and Technology (IET) has awarded “IET Pride Award for Academic Support” to the institute. 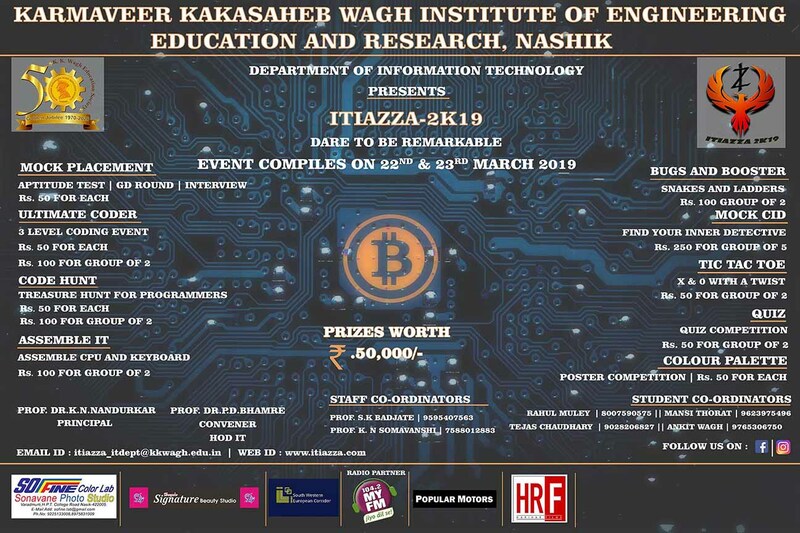 Students of K. K. Wagh Institute of Engineering Education and Research have continued their wining streak in the "Nurturing Intelligence for Curious Engineers" competition which was organized by IET. The finale of IET-NICE 2018 took place on Saturday, 13th October at K. J. Somaiya Insititute of Information Technology, Sion where students from the institute won the first as well as second prize for the second consecutive year. K. K. Wagh Institute of Engineering Education & Research, Nashik received Best NSS unit award by Savitribai Phule Pune University in Nashik district for A.Y. 2016-17. Prof. Dr. N. B. Gurule of K. K. Wagh Institute of Engineering Education & Research, Nashik was awarded ‘Best NSS Program Officer Award’ for A.Y. 2016-17. In 52nd Annual Convention of Computer Society of India (CSI 2017), held at Science City, Kolkata during 19th January to 21st January 2018 convention K. K. Wagh Institute of Engineering, Education & Research, Nashik student branch of CSI received prestigious award “Best Accredited Student Branch”. Prof. Anand Kolapkar, counselor of student branch was awarded by “Longest Continuous Student Branch Counselor”. Student Coordinator, Mr. Vishal Pattar was honored as ‘Highest Committed Student Branch Activist’. K. K. Wagh Institute of Engineering Education & Research, Nashik participated in the AIMA Index during 18th to 21st January-2018.